Does your sweet princess like to play dressup games? 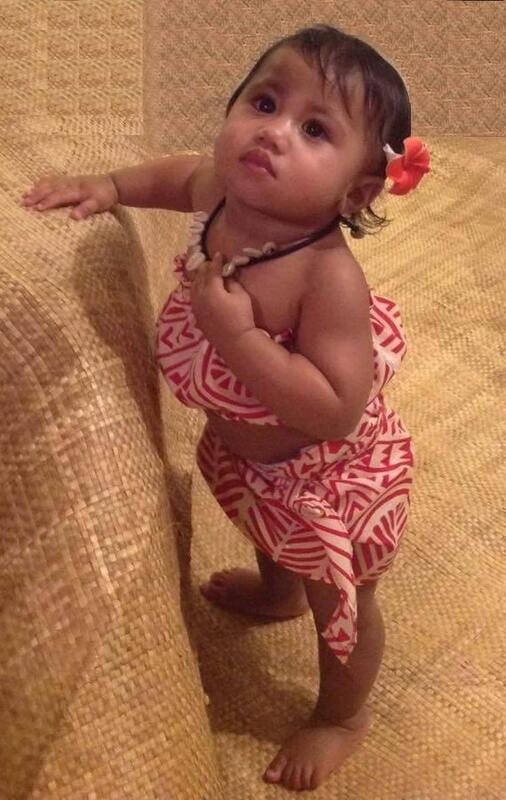 Disney Princess Moana Costumes for Kids are simply adorable! 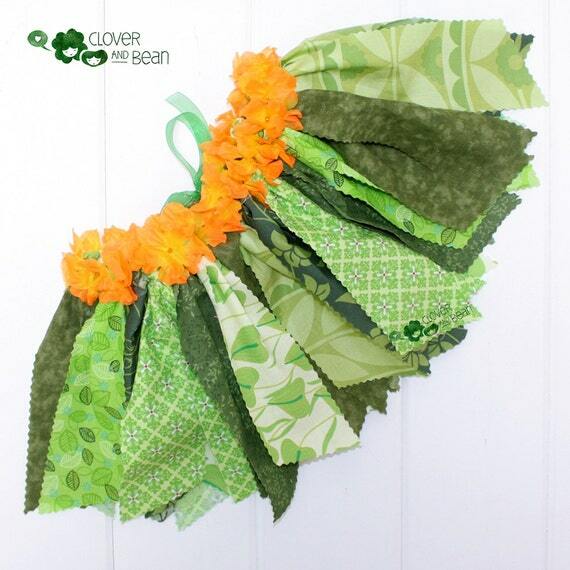 Its so easy to create tropical Polynesian style princess Moana costumes girls will love. 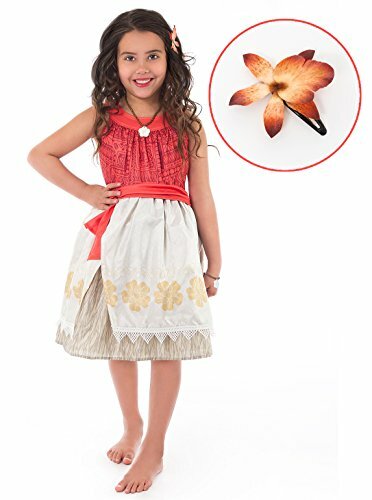 Moana costumes are sure to be a super popular request for birthday parties and Halloween costume parties this year too. And for the little boy who wants to dress up as Maui, the demi-god, this is such an easy costume too! Other Disney Moana characters that would make great costume ideas include the following. Pua, the adorable and perky pig would be a great costume for a baby. Use face paint to make a cute oinky nose, pink cardboard ears glued on a hair band, and an appropriate piggy colored sleeper. Add a curly tail and voila! Hei Hei, the comical, colorful Rooster could be a fun Disney Moana dress-up idea for kids of any age. Crafting a rooster hat would be a fun craft project. And we cannot forget the ferocious Kakamora in their coconut armor as a fun Moana costume idea for those tough little coconuts. Use paper bags and paint them up fiercely. Maui the demi-god can wear a straw skirt over his pants and have some temporary tattoos. Add a manly fish hook necklace as the magical talisman and your boy can be transformed. 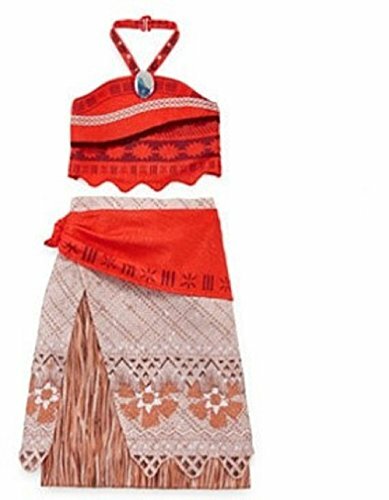 Moana of Oceana is usually dressed in a grass skirt, covered by colorful Hawaiian print scarves. Her reef sandals are adorned with sea shells. 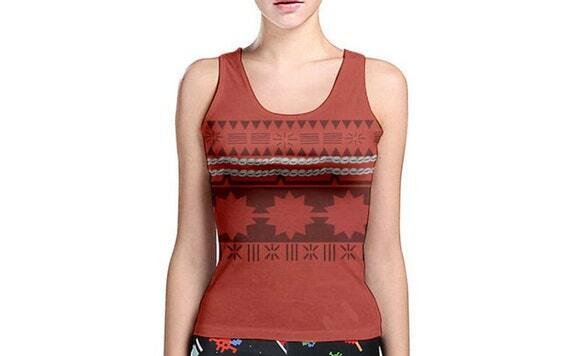 She wears a Hawaiian style tropical, sleeveless crop top. 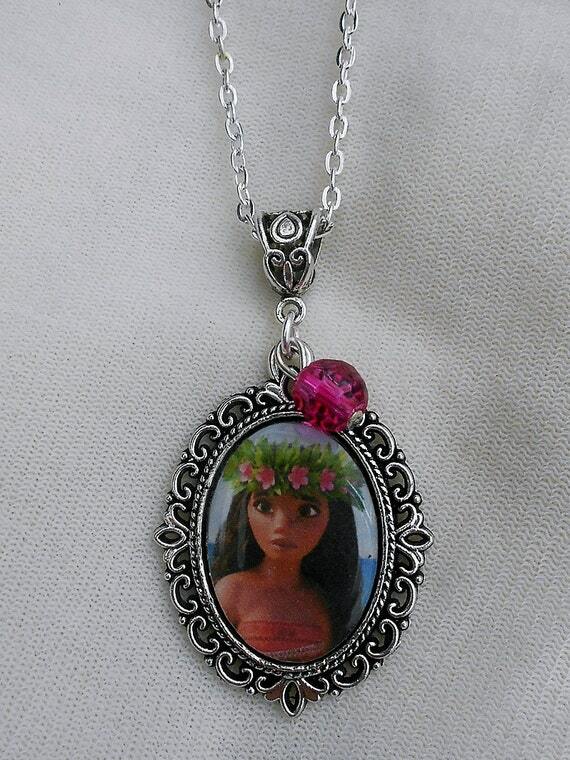 Disneys Moana usually wears a tropical flower crown or a Hawaiian plumeria flower in her long black hair. 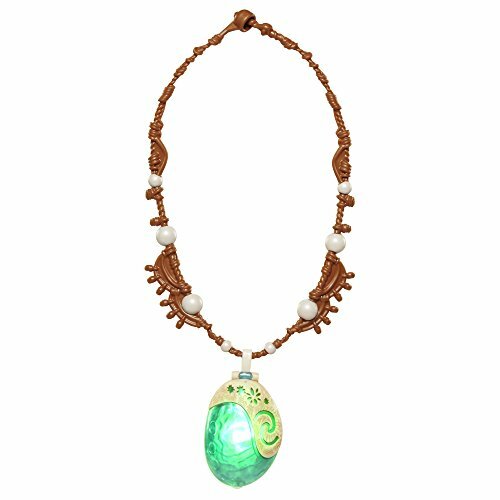 She sports a blue green pendant which holds the heart gem of the Island goddess Te Fiti. 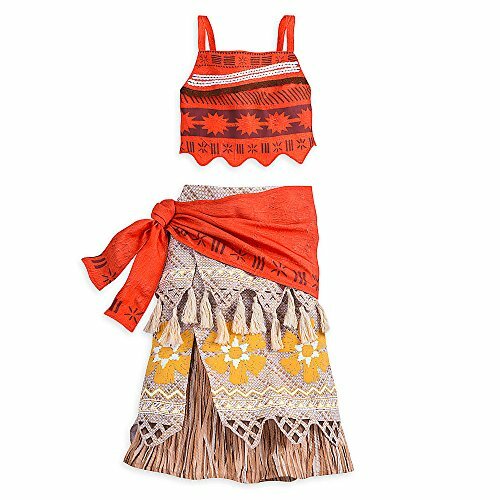 Amazon online sells these complete 2 piece costume sets for Disney Moana dress up days. 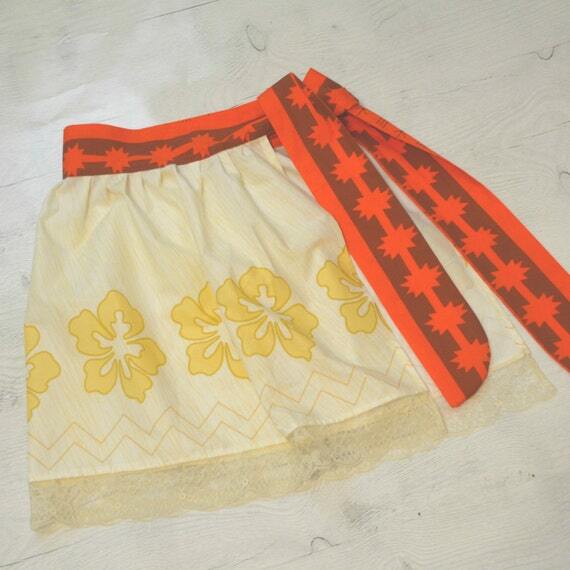 They all feature the traditional Polynesian skirt and a cute little tropical summer top. 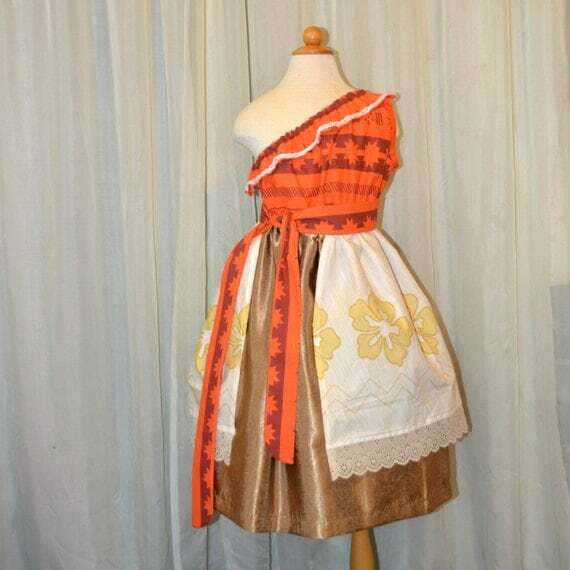 The top and hip scarf are in a bright orange pattern and the skirts consist of a grass or straw colored base covered with a crochet type tribal overskirt. 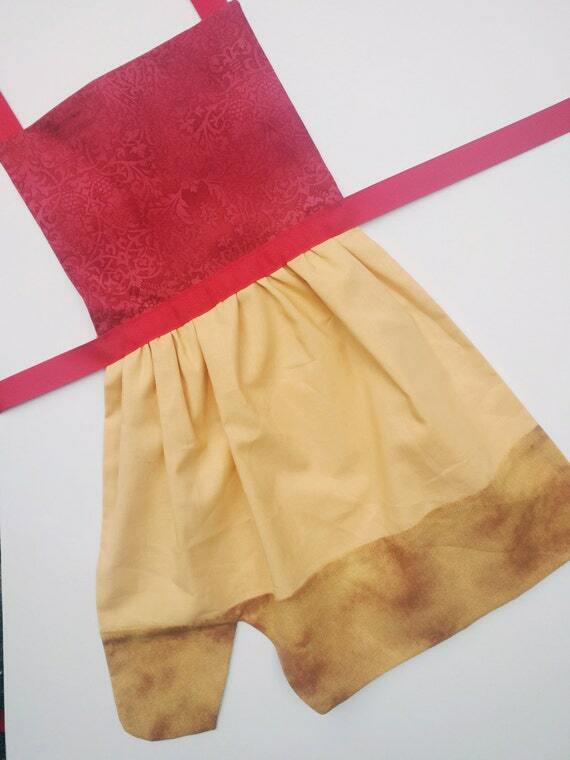 Costumes are available to order in different sizes. 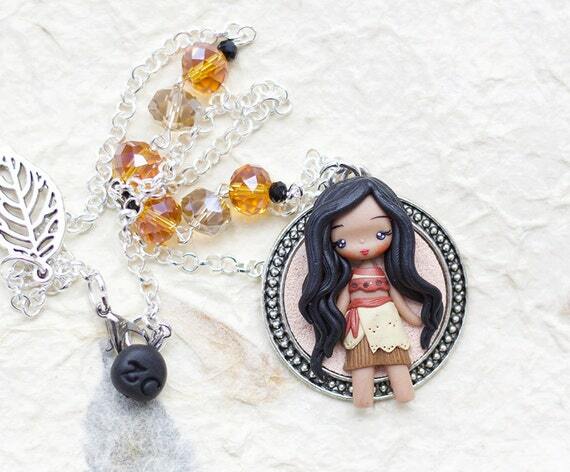 Etsy is an online shopping site that features hand crafted articles made by artisans. If you are looking for unique, good quality items that cannot be found in a department store, these hand made items will suit you to a tee. Some of these busy entrepreneurs have created some lovely Disney princess Moana costumes for kids. 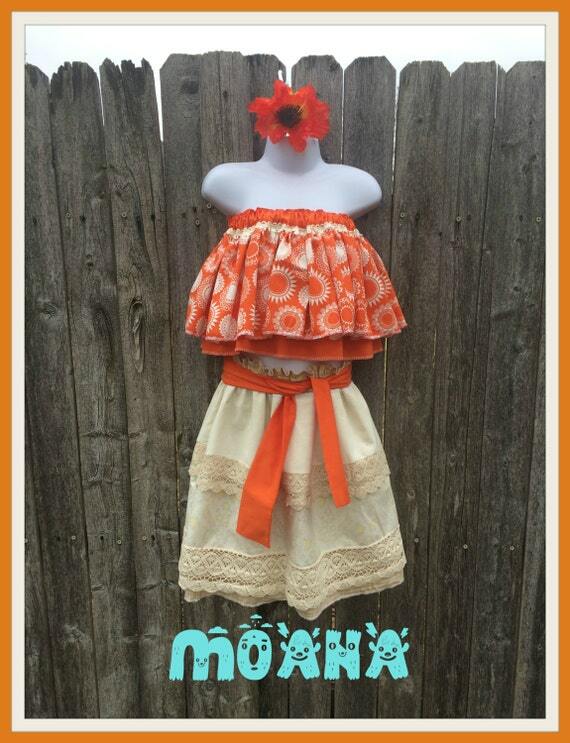 These lovely Polynesian style Disney Moana costumes for girls are each one of a kind. 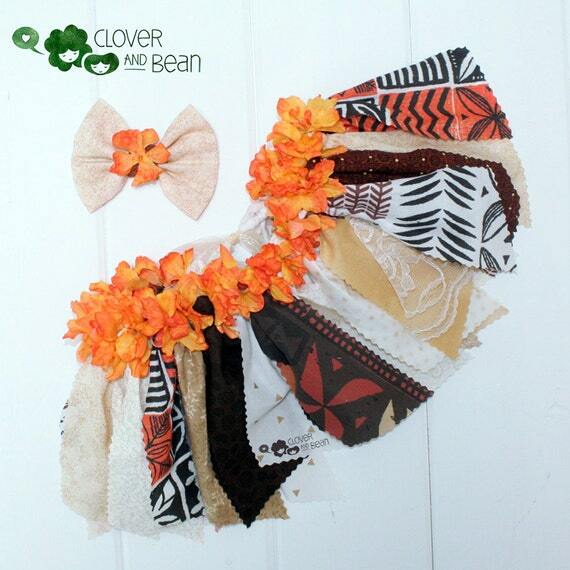 All your little girls and tween girls will be so excited to wear one of these tropical one of a kind costumes. 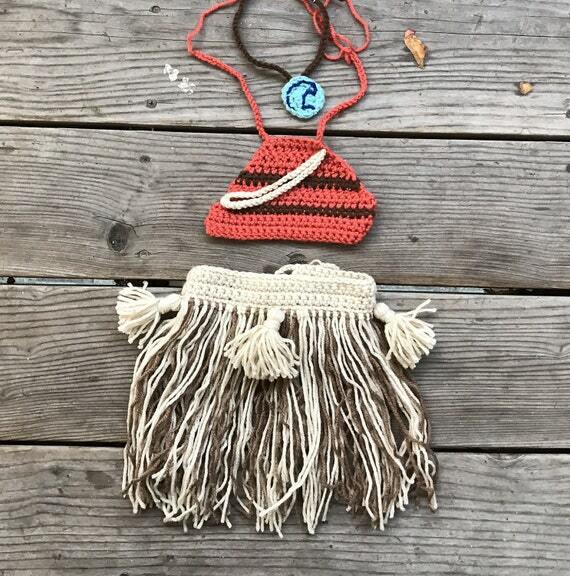 Baby Moana costumes for your sweet baby! 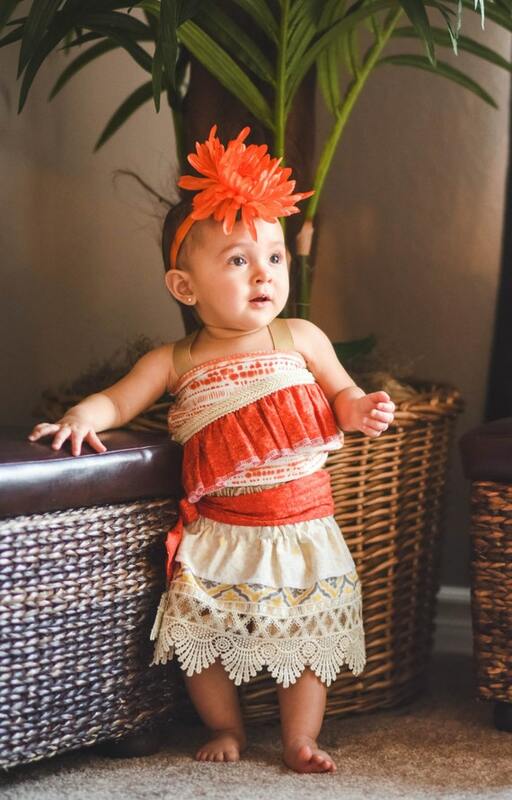 Just like baby Moana in the movie, your little one will be a Polynesian princess. 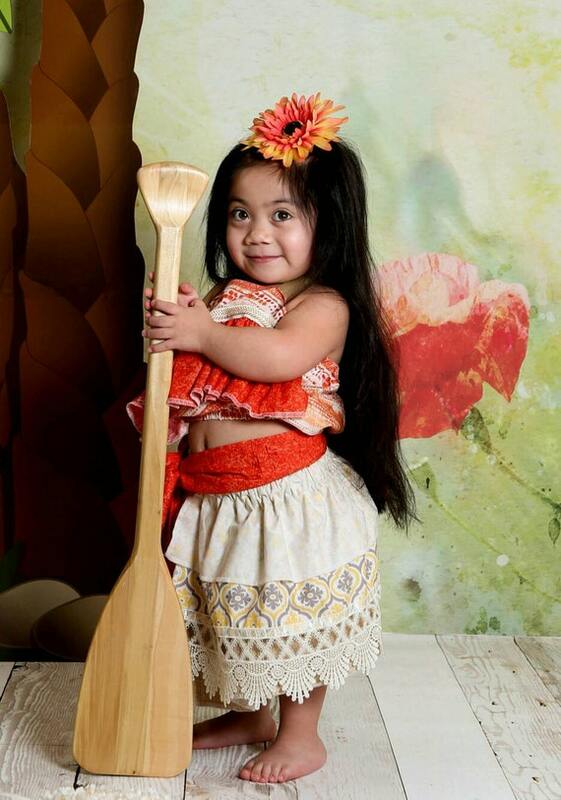 Your baby or toddler will look so adorable in these specially custom designed Disney Moana dress up outfits. Hand made with loving care, these items will be sure to draw comments. 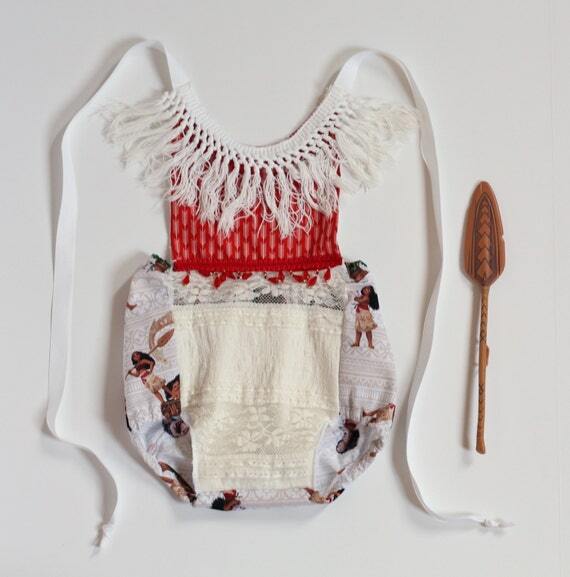 Materials used in these lovely items are cotton and lace. These frilly little costumes will melt your heart. A tutu is so much fun! 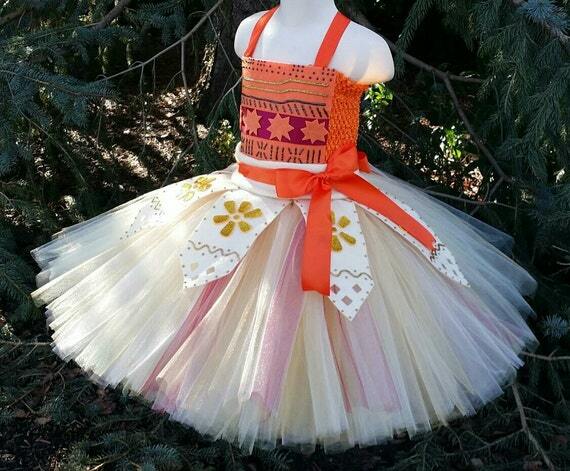 Feminine, flouncy and frilly, there are tutus for any age. 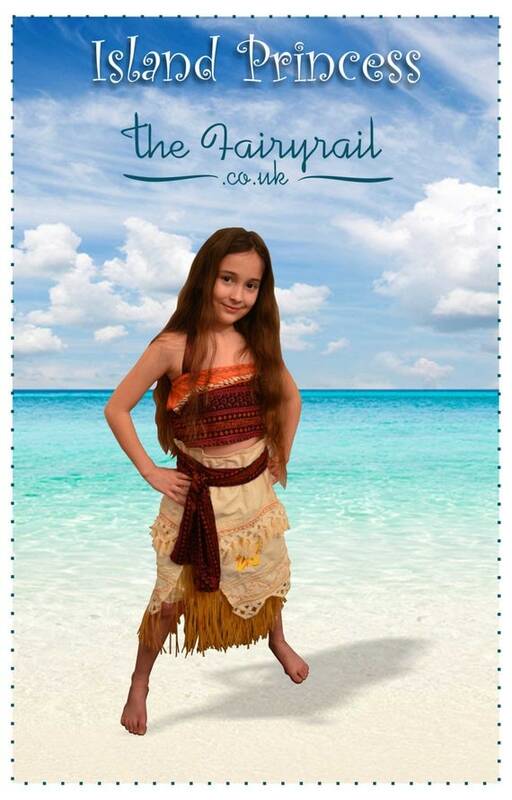 Moana tutu outfits are a great dress up option. Pull one of these sweet costumes out of the tickle trunk on the next rainy day and see where her imagination sails off to. 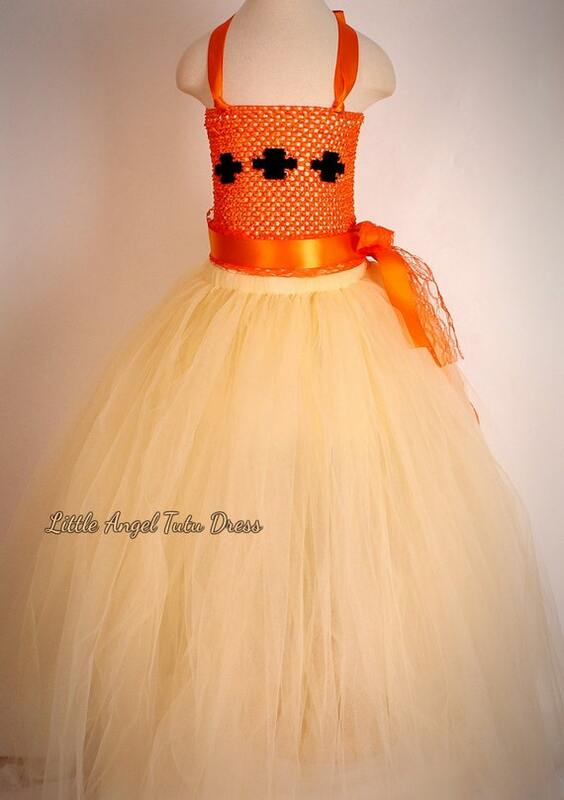 These little ensembles would be great for a birthday party or Halloween too! Skirts are the perfect quick costume essential. They can be worn with any top suitable for weather conditions. Skirts can be worn with leggings for comfort. 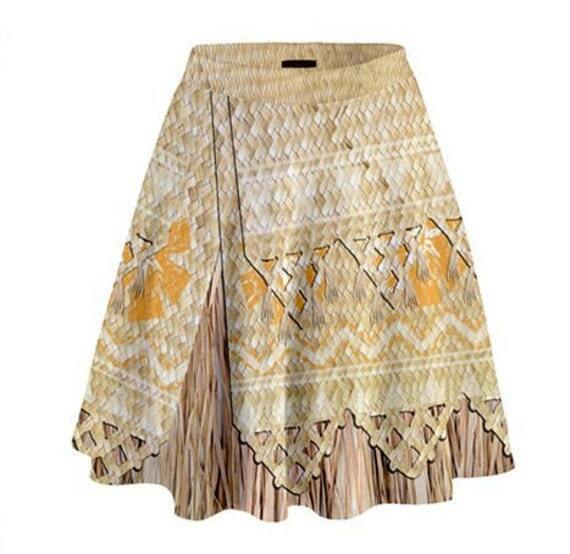 These cotton skirts can be even worn to school. The hula skirt is fun for the beach over a swim suit. 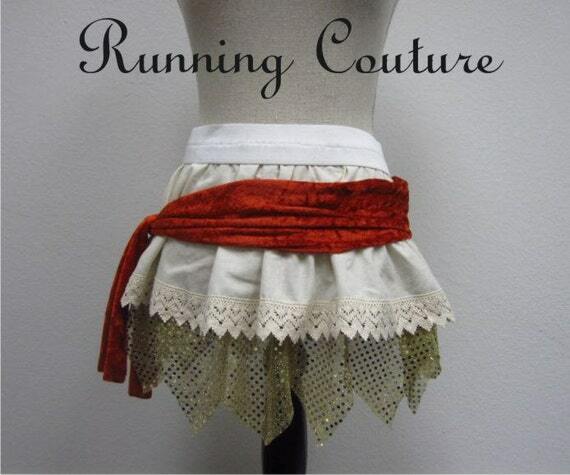 The creator of these home made items put tons of forethought into these eye catching wardrobe pieces. 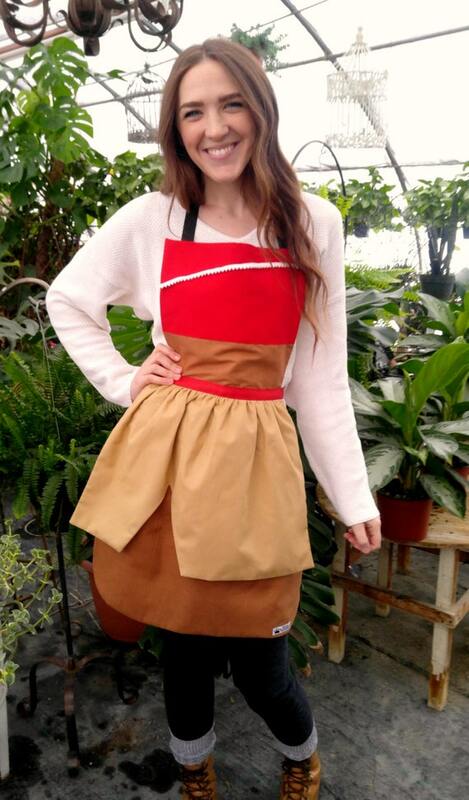 Aprons are ideal for wearing over any kind of clothing. 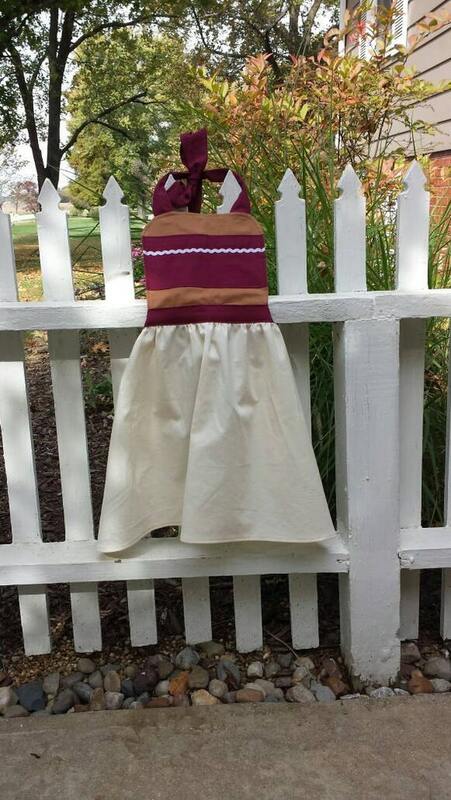 Whether your princess is playing dress-up or wearing over an actual dress, Moana aprons are simply beautiful. They could be worn for cooking, but they are so dressy. 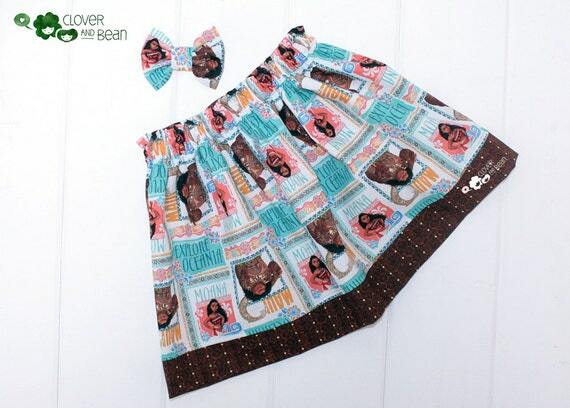 Layer the sweet aprons over pants or leggings and she can wear long sleeves or short sleeves as well as going sleeveless choices for her shirt. Add a long black wig and a hair flower and Moana is ready to voyage! 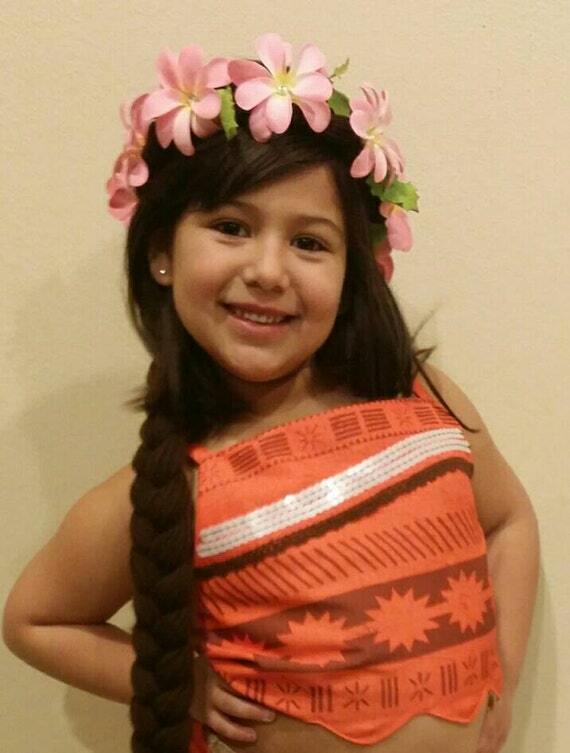 Lovely tribal print tops will "top off" your princesses Disney Moana costume for kids. 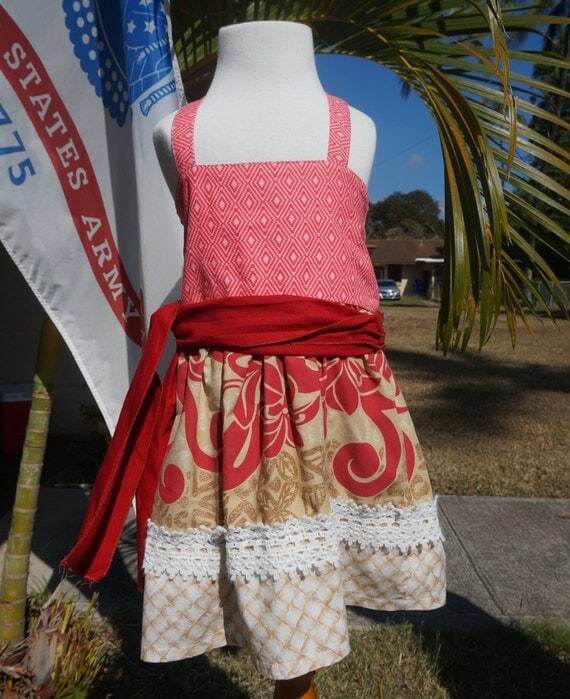 These adorable tank tops and sweet tube tops are perfect for those hot summer days at the beach or to attend a Moana dress up party. 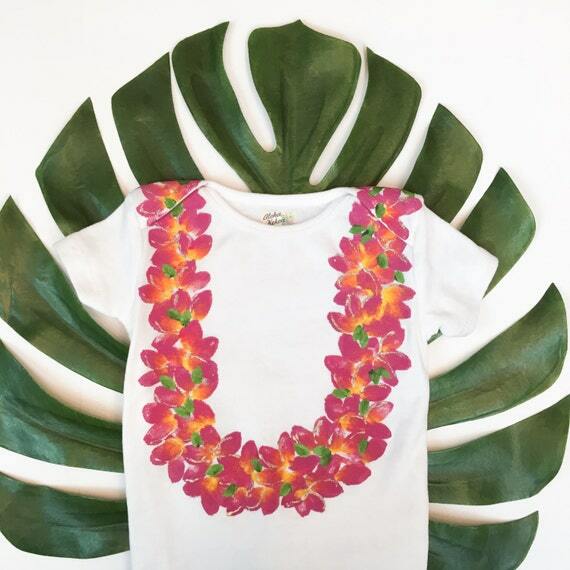 During colder months, slip a long sleeve shirt under these Moana summer cotton blouses. 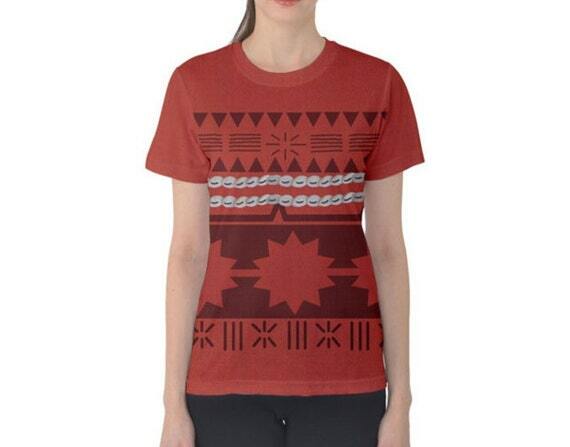 Tropical orange with offsetting brown earth tones and shell trims are the predominant colors for these cute shirts. If your petite voyager is going out in public with her amazing princess Moana costume, cool and cute footwear is part of the complete package. There are so many choices for little girl Moana shoes. 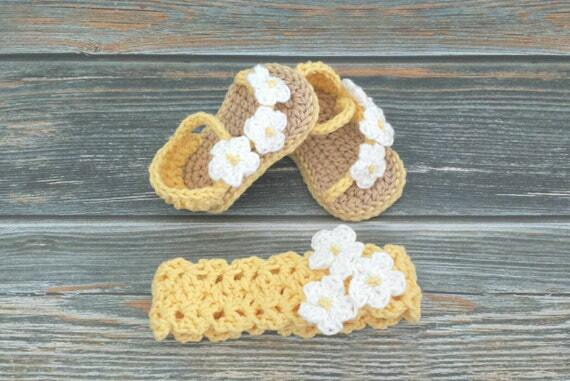 The crocheted toddler baby sandals with a matching headband are so adorable. 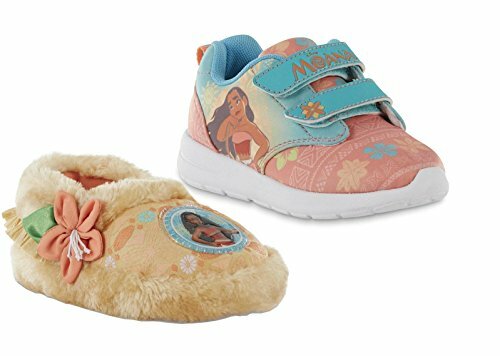 Disney Moana decorated velcro closure sneakers and warm, fuzzy slippers set are just too cute. 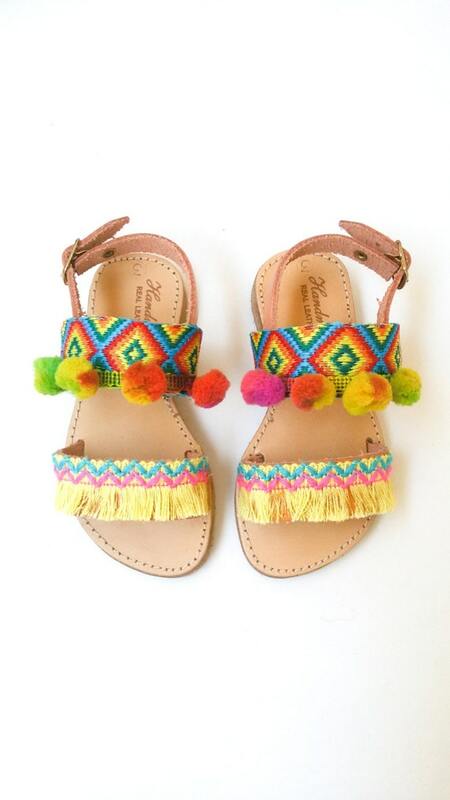 Hand crafted "Greek" Boho style girls sandals are so colorful and the pompoms are a sweet addition. 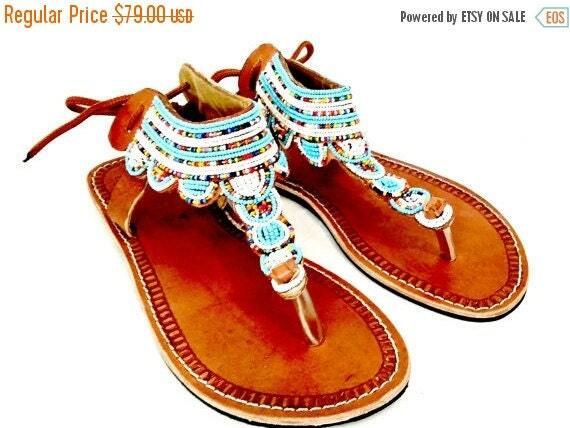 The beaded tropical princess sandals are hand made in Kenya and are a fair trade item. They are created by a self help group. You would get the individual story of the artisan from Nairobi along with this item. An excellent opportunity to help a native aritsan become self supporting in a country that is struggling. 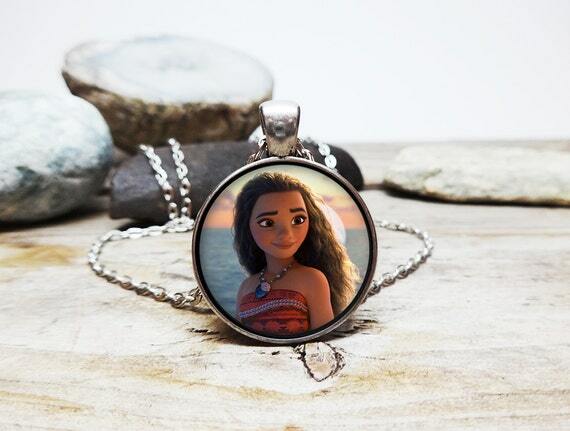 These would be great for your tween or teenager Moana fan. 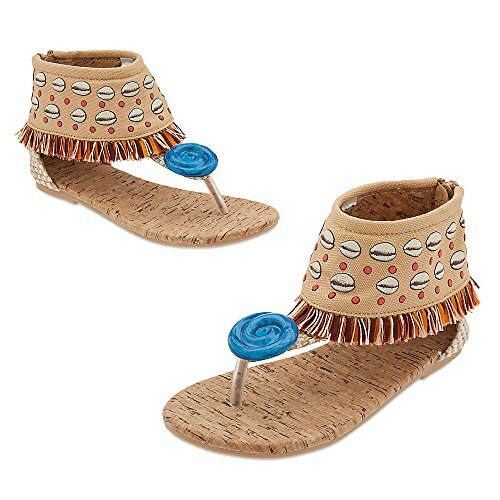 Shoes from the Disney Moana store on Amazon include the ever popular crocs, and what summer would be complete without a pair of Moana flip flops? Can it get any cuter?? Mommy and me shoes!! Mom and daughter matching outfits are all the rage. 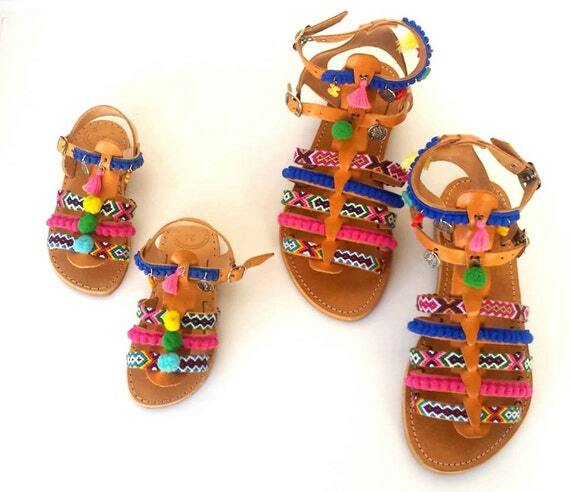 Hand crafted leather with colorful beading and trim make these coordinating adult and child Moana sandals very eye catching. Part of a Disney Princess Moana costume will often include a princess wig. 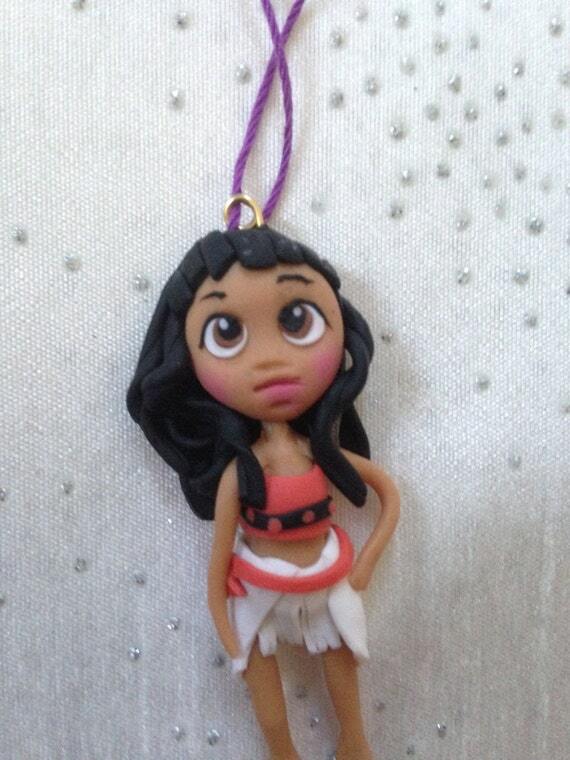 Moana has long, curly dark brown, almost black hair. 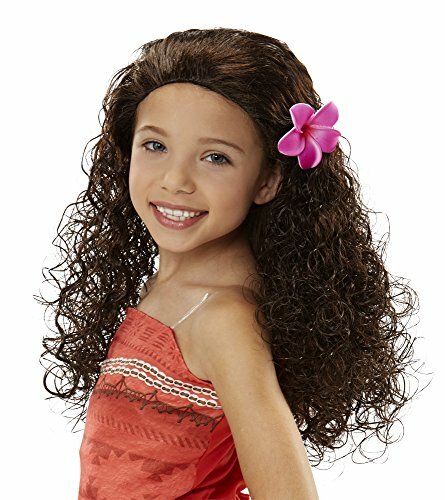 A great idea for the girl who is pretending to be an island princess is a black kids braided yarn hair wig. 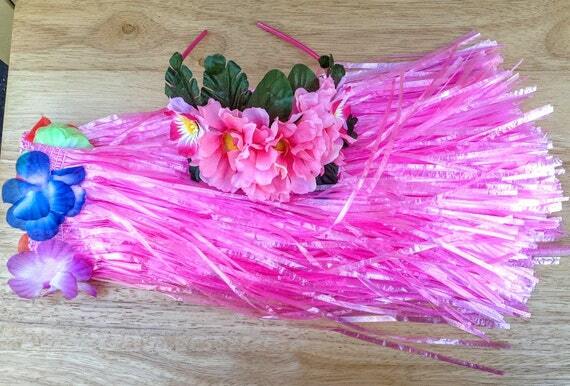 This long braid hair extension is attached to a lovely crown covered in pink plumeria flowers. 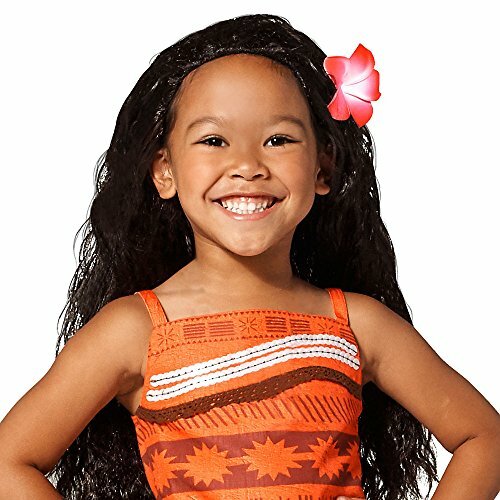 Synthetic kids wigs are a great, affordable option for your Moana dress-up needs. These black girls Moana wigs accurately portray Moana's thick, wavy hair. 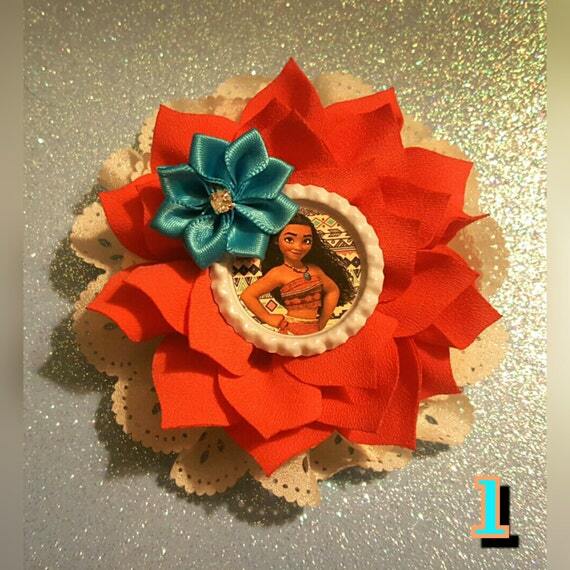 The crowning touch to any Disney princess Moana costume would be tropical flowers for her gorgeous hair. These items will all make your adventurous girl feel like royalty. 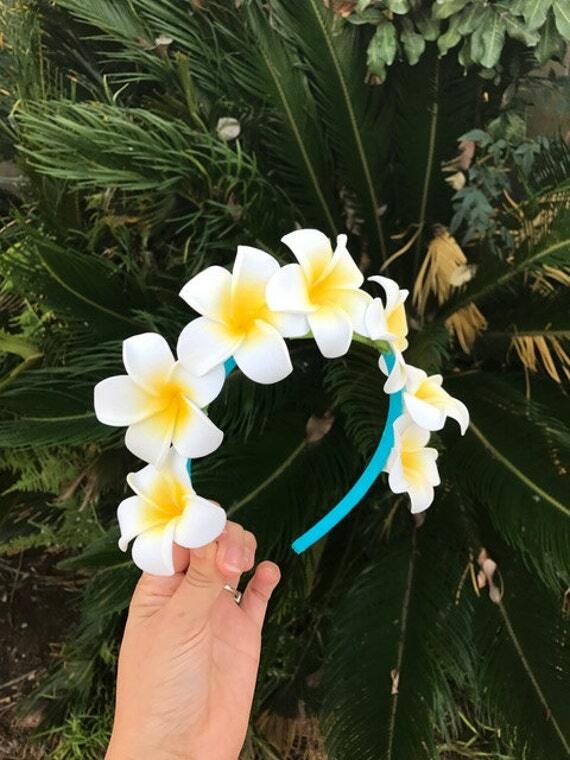 A printable Moana crown is so easy and affordable. These economical hair adornments can be emailed to you, then downloaded to your home computer and printed off on cardstock paper. Just cut the headbands out and staple them together. 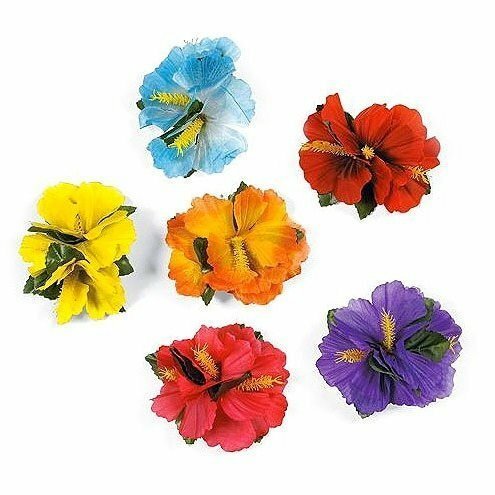 These creative cutouts and the 12 pack of multicolored hibiscus hair clips would make a great birthday party sharing item. 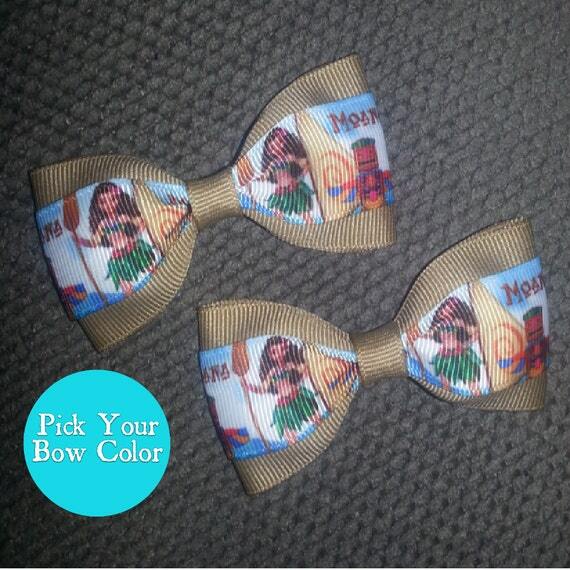 Moana decorated hair clips and bows give a true Oceana look to her dress up outfit. 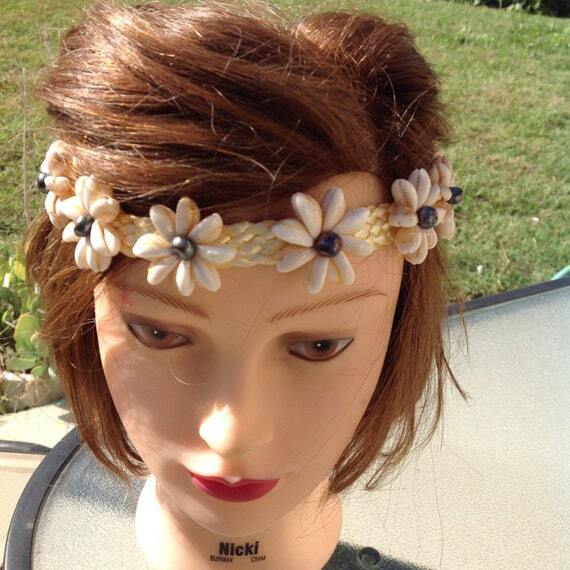 There are several types of bright, flowery crowns and hair bands that would be ideal for wearing on any occasion. 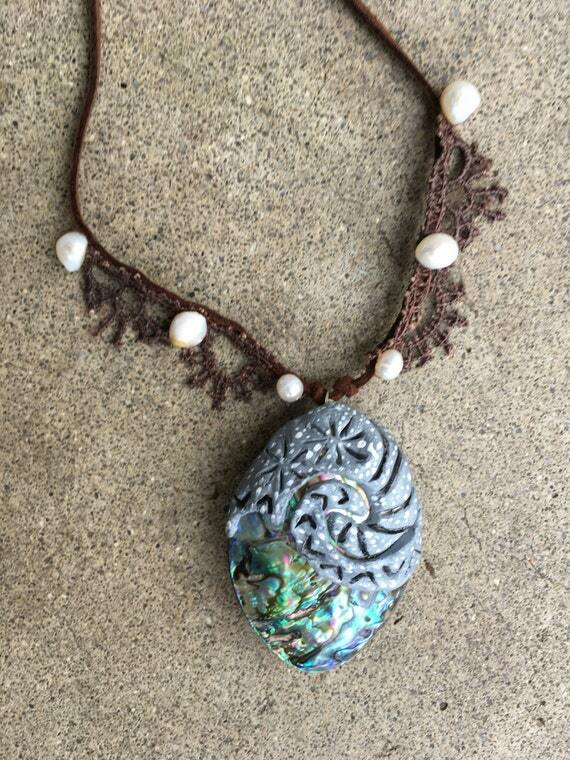 For the older teen or tween, the hand made cowrie shell and freshwater pearl head band would make a unique one-of-a-kind boho gift. 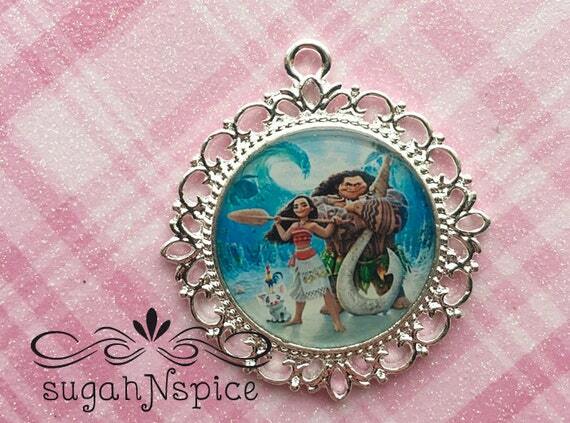 The heart of the Island Goddess, Te Fiti is worn as a pendant around Moanas neck for part of this new Disney movie. It is a crucial talisman to restore life to Oceana and all its inhabitants. 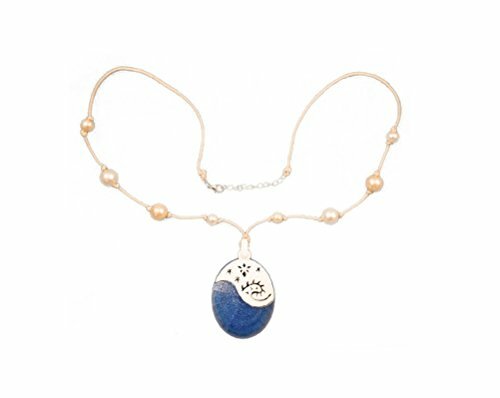 There are simple and inexpensive kids fashion pendant necklaces and also more valuable real gem pendants. 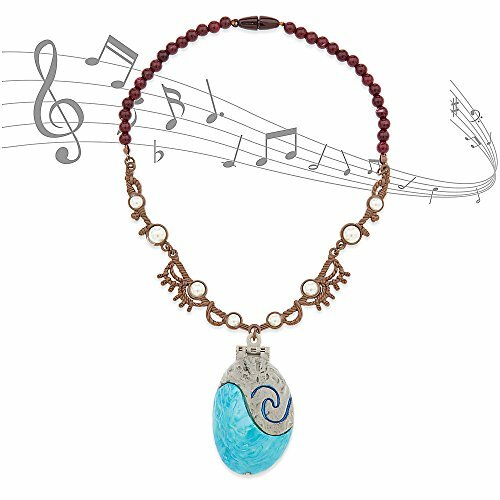 There are singing pendants and light up necklace options for these Moana inspired heart of the Island jewelry pieces. 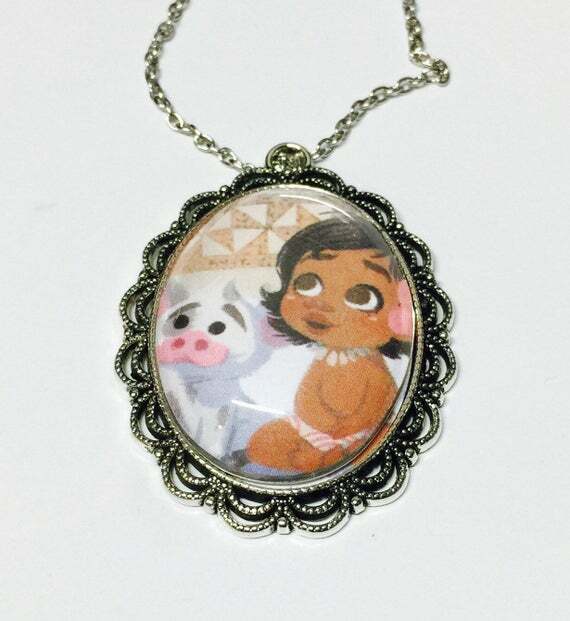 Moana Disney character portrait necklaces are a winner for Moana jewelry. 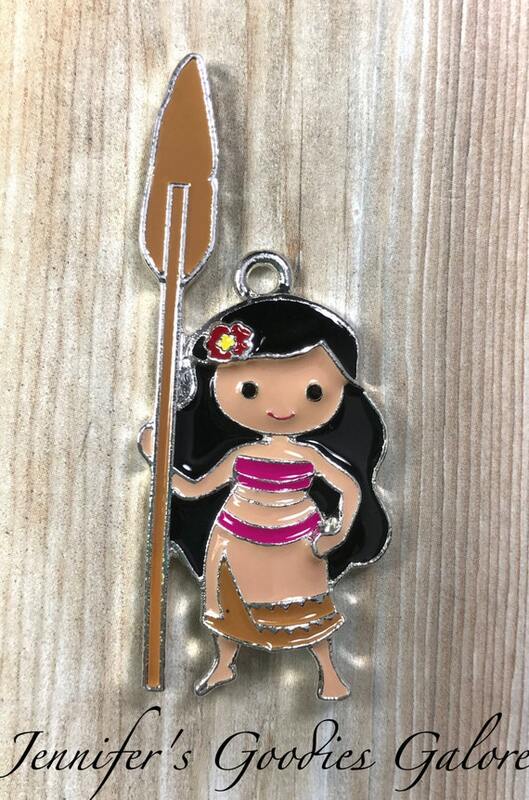 These adorable Disney Moana princess costume accessories are affordable and will be a welcome addition to the jewelry box or tickle trunk. 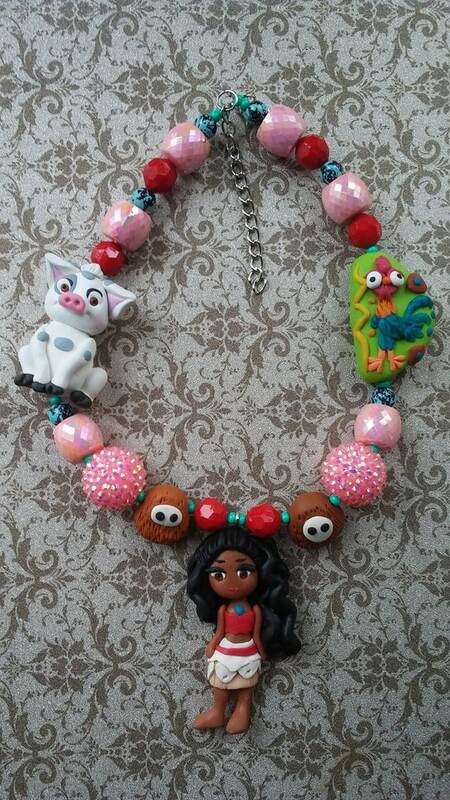 All of these colorful and imaginative kids jewelry necklaces depict Moana and/or Moana and her friends. Imagine your little one play acting while wearing one of these unique jewelry pieces. These are hand made and sold in Etsy online and will not be found in department stores. 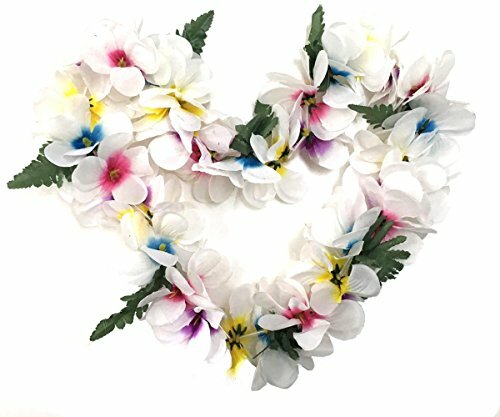 Of course, a flowery Hawaiian Lei is an amazing prop for kids dress up time. 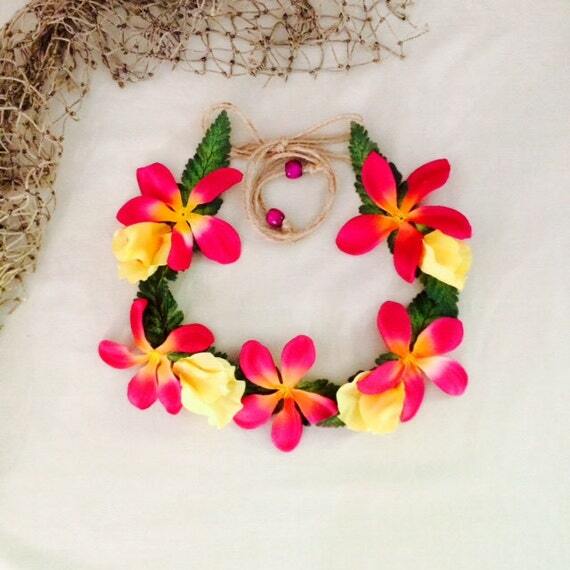 The topical lei is a gold standard standby for Polynesian princesses! Planning A Party? 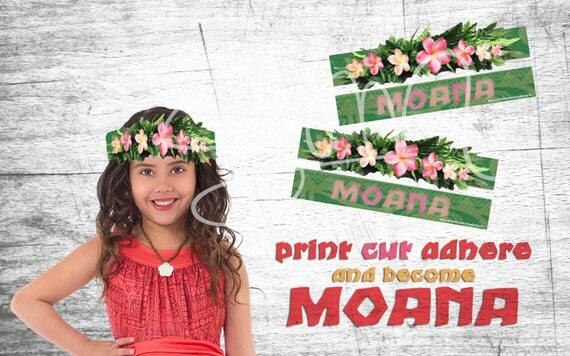 Check Out Our Cool Moana Birthday Party Ideas! 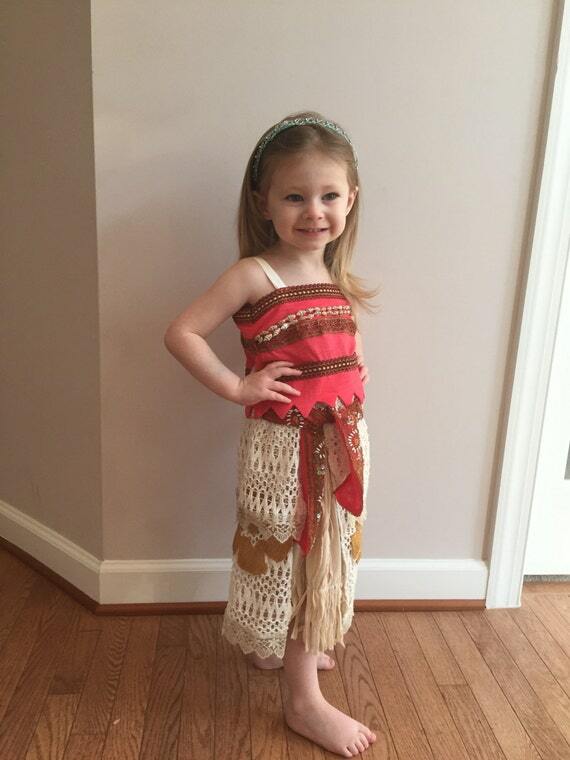 I appreciate your visit to my article on fantabulous Disney princess Moana costumes for kids. 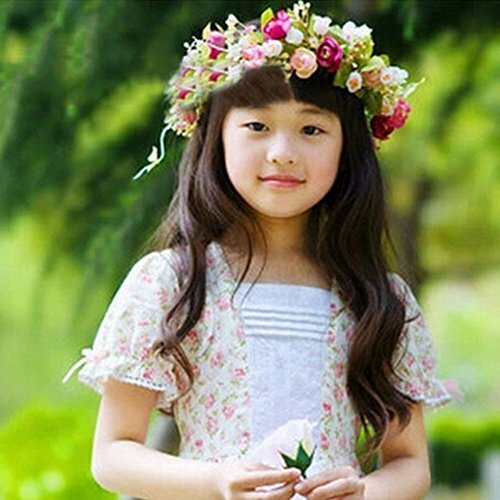 My wish is that dress-up games and play acting experiences will lead to your kids into having a wonderful imaginations that will take them places in their future. 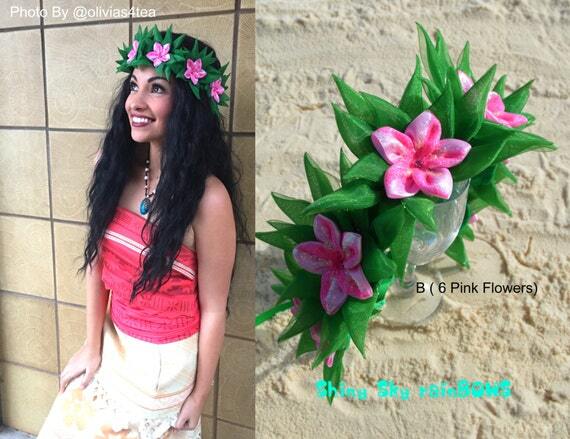 I hope you found the perfect Moana costume for your child's birthday party, Halloween party or dressup play!